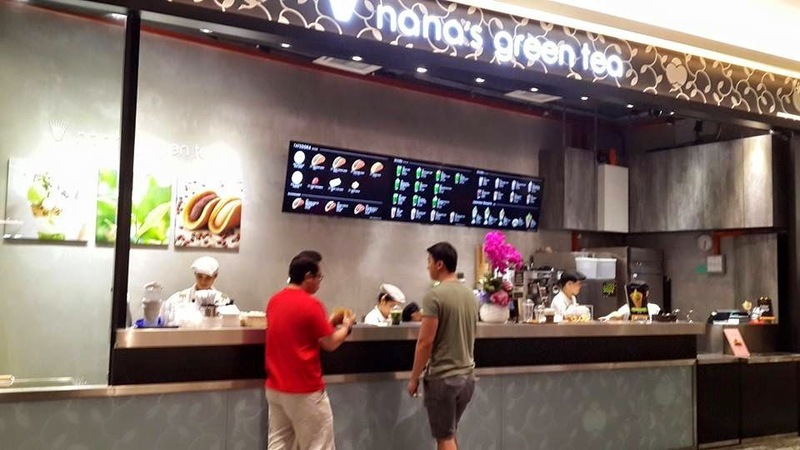 Nana's Green Tea, a pioneer of Japanese Cafe with Matcha, is introducing their new product - Tatedora. 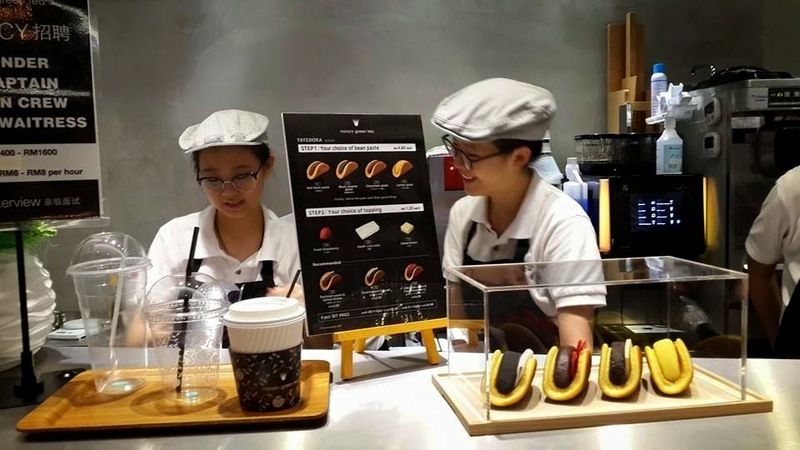 Tatedora is a freshly baked dorayaki that is folded with bean paste and additional toppings! The day we walking to cinema, my eyes attached with Nana's Green Tea, i saw the picture of DORAYAKI! 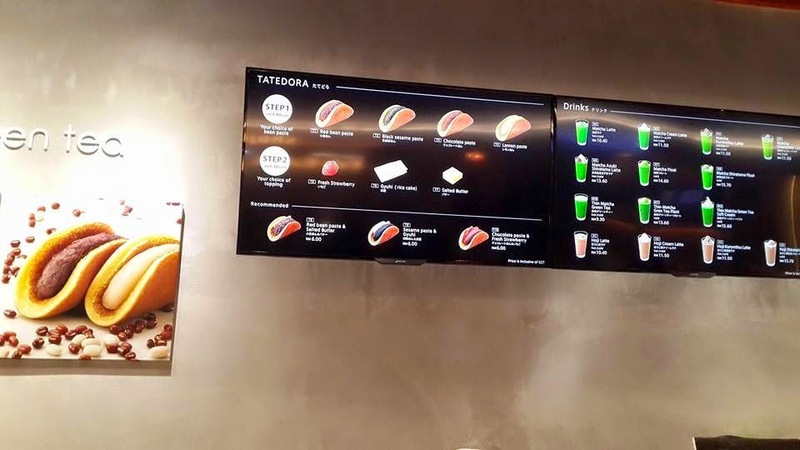 Immediately we walking to the counter and order it! Menu board - paste & topping option or recommended combinations. You can design your own Tatedora according to your own preference. 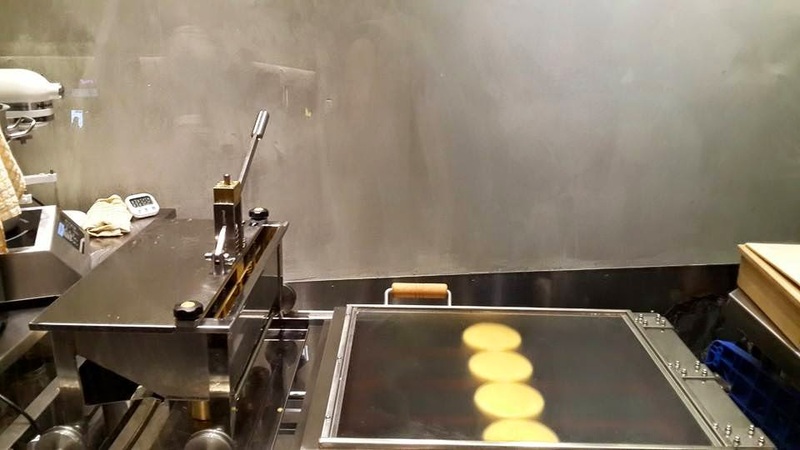 Semi Automated Machine from Japan to make Tatedora! The Dorayaki is literally baked in front of us after we placed our order! Cool... And here we go PIPING HOT FRESHLY MADE TATEDORA!!! 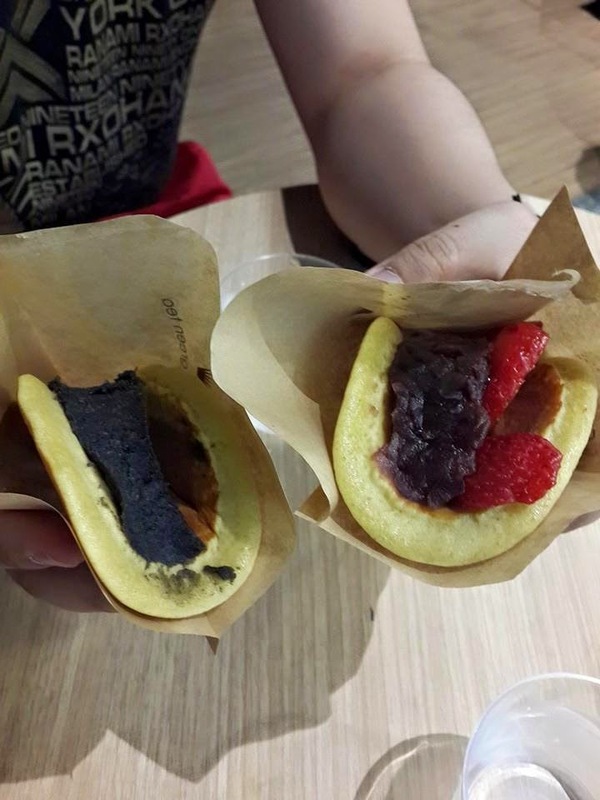 I choose the combination of Red bean paste with fresh strawberries and Black sesame paste. The dorayaki itself is a abit fluffy and yummy, while the red bean paste is not too sweet and goes well with sour fresh strawberries slice. 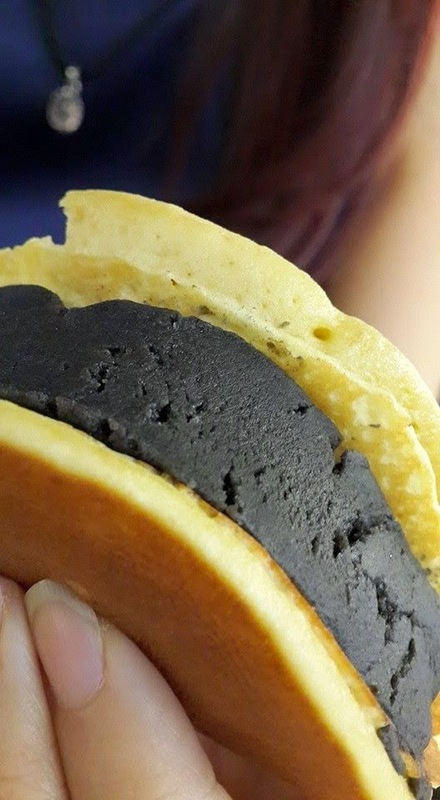 Personally I prefer my Tatedora with only black sesame paste. Simple and not too much mixture of flavour. 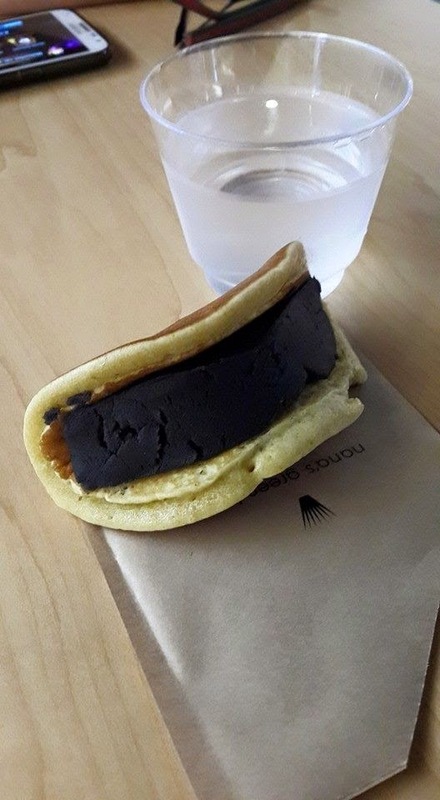 Their black sesame paste is a thumb up, it's fine and rich, yet not too sweet. 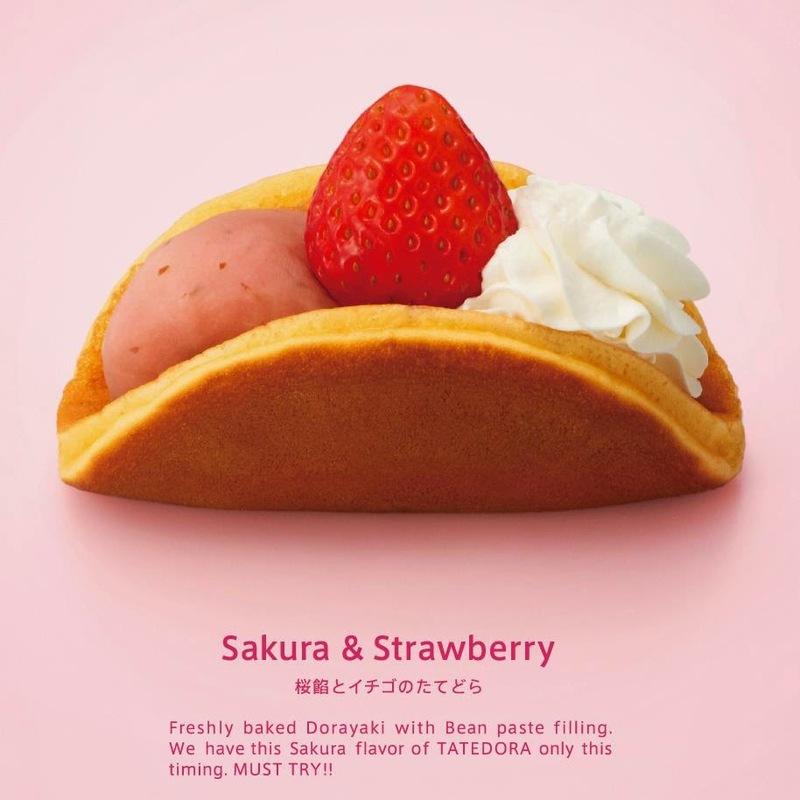 Currently they have this limited time Sakura flavor Tatedora! Will give a try on my next visit! I am a Dorayaki lover! Service - Self service. Pick up at your own. 3rd Floor Mezzanine South, Mid Valley Megamall, 59200, KL. Hello! First footprint of my blog!